Ace was herding his sheep when he saw a dark and shiny rock. As he stepped onto the rock, the metal base of his shoe and his shepherd's staff got stuck to the rock. Find out why this happened and learn more about magnets. Ace and Churros were exploring a savannah in Africa when they chanced upon some ostriches. Ace wondered if those ostriches are birds, even though they are not able to fly. Find out how different groups of animals are classified based on their characteristics. Ace, Bob and Churros landed their shuttle on a grassland. They then went on to explore the place. When they returned to their shuttle one week later, the grass under the shuttle had died. Guess what they found living under the shuttle? Find out more about plants, fungi and bacteria. Ace, Bob and Churros went on a fishing trip. Ace managed to catch a small fish with his wooden fishing rod. But the wooden fishing rod broke when Ace tried to catch a bigger fish. Ace then used a metal fishing rod instead. Will it work? 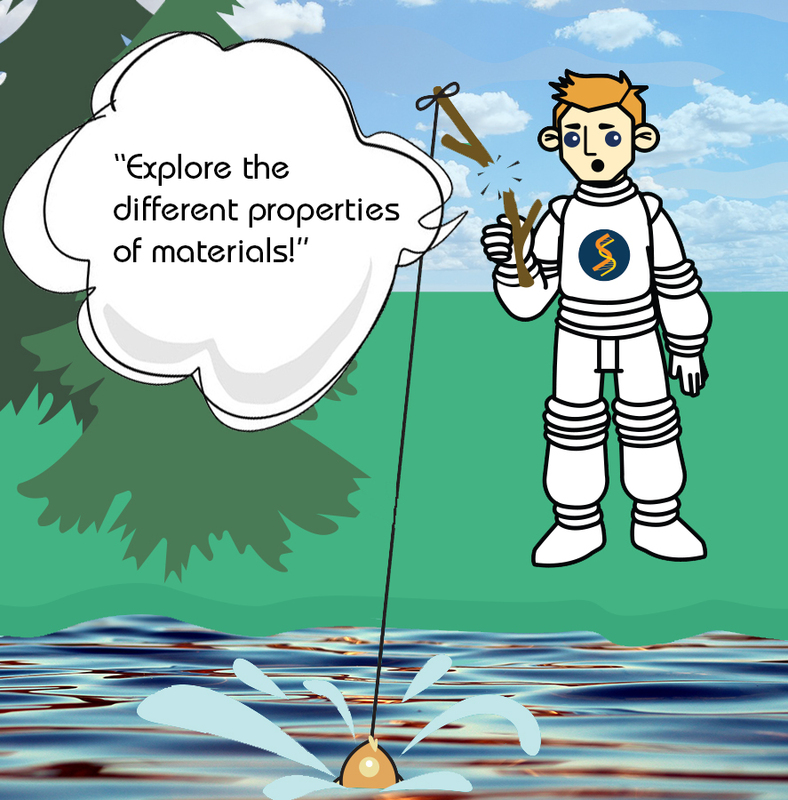 Find out what happens next and learn about the different properties of materials. While exploring the jungle, Ace and Churros spotted a big, fat caterpillar. Churros decided to keep it as a pet. Few weeks later, it seemed like the caterpillar had disappeared! 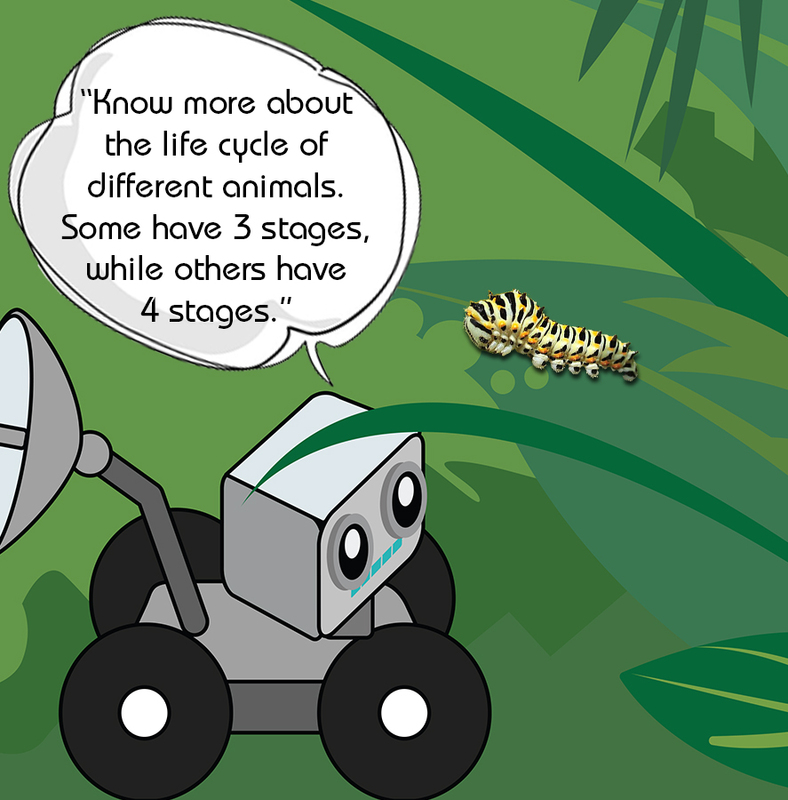 Find out what happened in the video and learn more about life cycles. Ace, Bob and Churros are back on Earth after spending many years exploring Mars. Now, they are tasked to explore the Arctic and desert regions on Earth. Join them in their exploration. Learn more about the similarities and differences between the 3 states of matter. DOES BOB HAVE A FEVER? Bob cheekily pretended to be feeling sick. When Ace used his hands to touch Bob's forehead, he felt that it was hot. Bob was shocked as he was only pretending. Did Bob really have a fever?Find out more from this video and learn about heat. Bob had always wanted to be in a submarine. One morning, Ace and Churros arranged a submarine ride for Bob to explore the deep sea. Find out what happens when Bob looked into a periscope and learn more about light.